Bit of filler for today as I've been on holiday. I'd apologise, but darnit, I had a really good time! 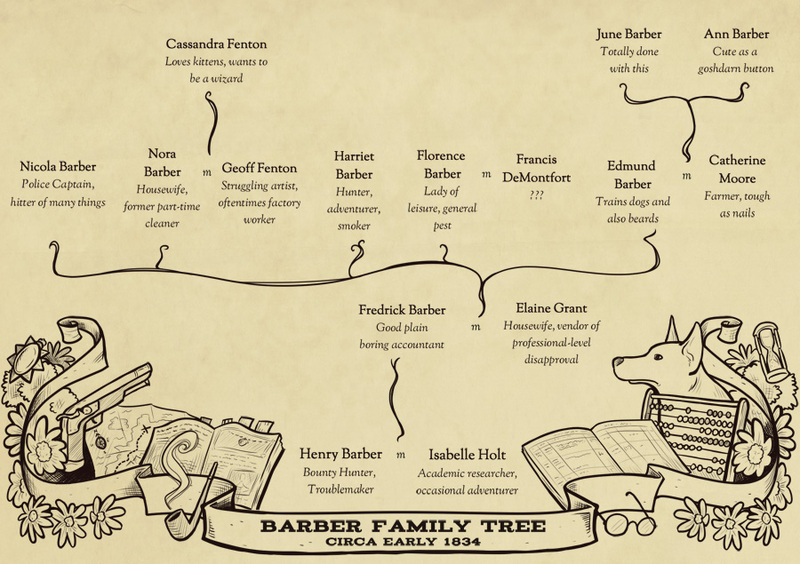 I'll be shifting this out of the archive on Tuesday and into a different section of the site, but for now have the Barber family tree, for clarification and edification. Notably, the fanart section updated, including a link to Widdershins fanfic!